“I have always felt a strong connection with our natural environment. After school I had a varied working life, in Gibraltar and London. I then followed my dream of seeing the world, exploring wilderness areas and backpacking through East Africa. For 10 years, Tanzania, and for much of that a tent, became my home- life in the bush was stimulating and a daily education. My time was spent recording, filming and on research in conservation related work. During this highly privileged time I strengthened my personal connection to the natural world and pledged to dedicate my working time to its protection. We returned to Europe to raise our young family. Although pollution, traffic and a massive petrochemical complex were serious environmental problems, it was a damaged nuclear submarine which led to the start of the Concerned Citizens- later to be called ESG. We continue to campaign for a healthy environment and to promote environmental issues at every level in our community. 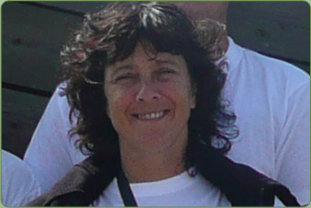 ESG Comment: Janet’s focus on addressing environmental issues in Gibraltar on behalf of the group has enabled the ESG to grow from strength to strength: from a small pressure group to a now widely recognised and respected NGO. She has done this by working with a team of dedicated people while also being able to gain support from many in our community and networking with regional and international organisations.